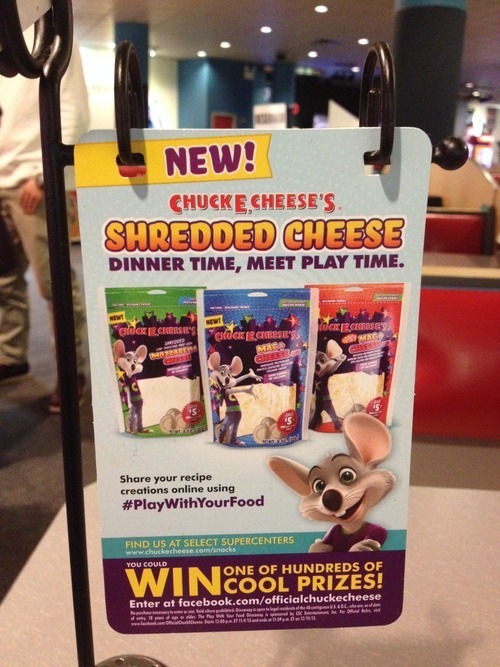 Chuck E Cheese is great for terrifying animatronic rats, impossibly expensive 2500-ticket Justin Bieber dolls, and tiny rides for small children (and apparently not adults because they yell at you if you try to ride them. Rude.). Know your strengths, Charles. Food isn’t one of them.